This is the final post of this series, Reading More Without Living Less. To close, here are three book recommendations taken from my 2012 reading. These books aren’t about reading per se, but more on personal development and time management, which are helpful in creating more pockets of time for reading. So, if you’re ready to go at it and improve your reading, ready to read that book, but need some recommendations, here are three I’ve profited from this year: 1. The Power of Habit The Power of Habit is a fascinating book that examines some of the science and statistics behind the habits of individuals, companies, and societies. 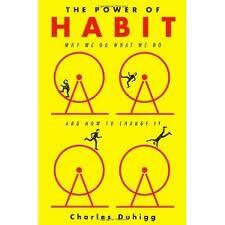 Along the way, it also gives some helpful insights into using habit as a tool to pushing ahead in life. (I wrote a review on this earlier this year here.) 2. 168 Hours 168 Hours examines the way we all use the time we have been given. Beyond just time-management, this book drives readers to focus on their core competencies and living a productive life. I found it quite helpful in helping my to better understand my priorities, and how to arrange my time to focus on those areas. (I wrote a review on this earlier this year here.) 3. The Happiness Project The Happiness Project is, in a sense, Gretchen Rubin’s memoir of her year of following her New Year’s resolutions, focusing on a single area of improvement each month. I benefited from Gretchen’s month-by-month area of focus, and especially from the many insights and bits of wisdom sprinkled throughout her book. It’s a great book to read in preparation for New Year’s goals, but also inspirational and helpful at any time of the year. (I wrote a review on this earlier this year here.) Thank You! Blogging is an interesting activity for me, and it has certainly evolved since I started keeping a blog five years ago. I write both for my personal preservation and for inspiration. I also write to benefit from the exercise, though often I do so with knowledge that other people are “listening.” This was a bit of a change from my norm (a norm that has also changed and evolved through the years), but helpful for me. Thank you for your feedback! If you have a good book recommendation to share (or some tips for reading more), feel free to chime in here!